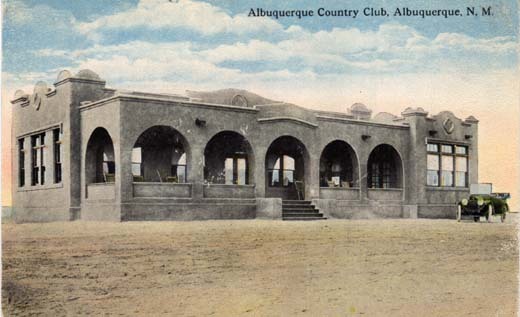 Albuquerque Country Club, Albuquerque, N. M.
Commodious Club House with Locker Rooms, Living Room, Dining Room and Café with Restaurant. 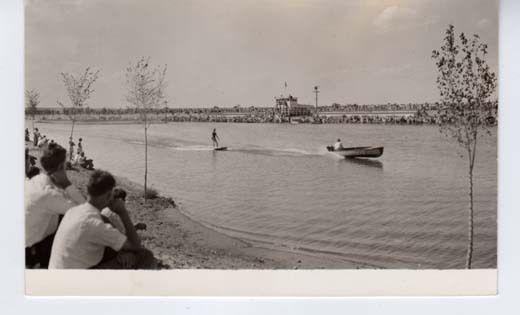 Club Property included Nine Hole Golf Course with a Cleared Fair Green, sixty yards in width, and adequate Putting Greens. Tennis Courts are planned. Kimo, America’s Foremost Indian Theatre, Albuquerque, New Mexico. 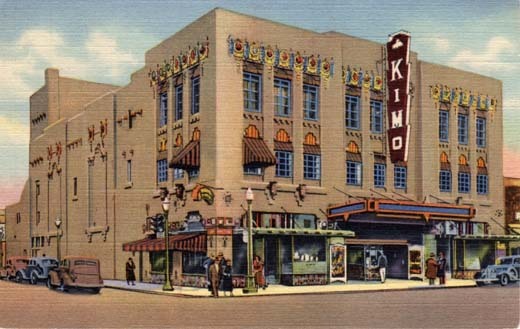 The Kimo Theatre Building expresses architecturally, in its composite design, the traditions of New Mexico and the old Southwest. One of the few typically American Indian architectural expressions, with a suggestion of the Spanish in its contours, this unusual edifice, both inside and out, provides an atmosphere of historical romance unequalled elsewhere in America.